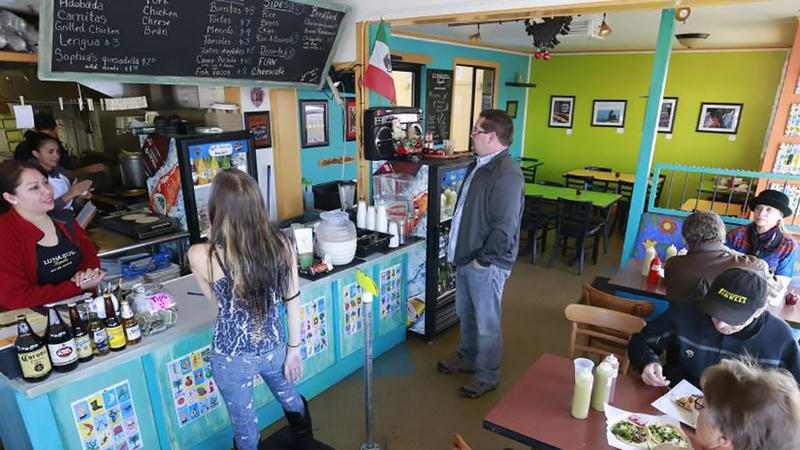 Located in northwest Bend, EsTá BiEn restaurant is a traditional taqueria and pupusería that specializes in small plate tacos and pupusas. They offer several tasty options for fillings. You’re probably familiar with tacos, but have you tried pupusas? Pupusas are a traditional dish found in homes throughout Central America. Similar to tacos, they are stuffed with delicious cheese or meat fillings so the inside is completely encased in a thick corn tortilla wrapper. At EsTá BiEn, choose from steak, chicken, veggie, cheese, bean, and even scrambled egg fillings for your tacos and pupusas. Tacos are $2.50 each, and you can try different fillings for a complete meal. Round things out with your choice of margarita or Mexican beer. Reviewers claim EsTá BiEn’s pupusas are as good as those they’ve had in Honduras and El Salvador, if not better. Reviewers also praise staff for being friendly and give EsTá BiEn 5 stars. Open daily 11:00 a.m. – 8:00 p.m.